Smile Train is looking for young professionals to join our Young Leadership Circle Board! 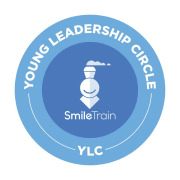 Smile Train’s Young Leadership Circle (YLC) is a group of professionals committed to furthering Smile Train’s efforts to help children with clefts globally. The YLC holds fundraising events and educational programs throughout the year. Smile Train is an international children’s charity that empowers local medical professionals with training, funding, and resources to provide 100%-free cleft repair surgery and comprehensive cleft care to children globally. We advance a sustainable solution and scalable global health model for cleft treatment, drastically improving children’s lives, including their ability to eat, breathe, speak, and ultimately thrive. The YLC is made up of a diverse group of people who are bound together by one common thread: their commitment to Smile Train. Our members have varied backgrounds and work in finance, law, fashion, tech, public health, and more. To learn more about YLC and get in touch with us, check out our website at https://www.smiletrain.org/get-involved/ylc or contact kmochi@smiletrain.org .